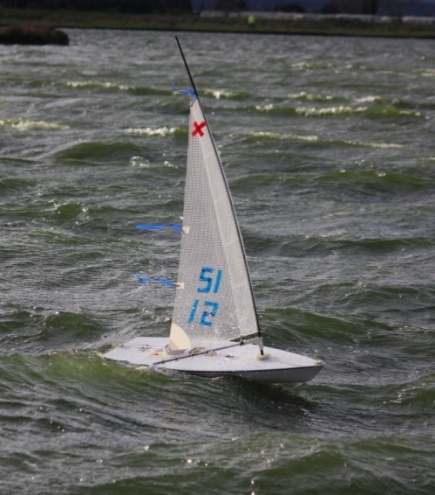 The Medway RC Laser Club was formed in 2006 making 2018/19 the 12th year that radio controlled sailing has taken place as a winter sport for members of Medway YC and other clubs in Kent. We have 20 members, most from MYC with the remainder made up from Isle of Sheppey and the Thanet Clubs using the winter period to keep their hand in with racing rules and race tactics. We sail on the lake at Barton Point Coastal Park on the Isle of Sheppey, providing us not only with excellent sailing but a very welcoming Cafe with a huge wood burner to warm the chilled sailors halfway through the 10.00 to 12.30 session on almost every Sunday from the start of November to the end of March. We sail in all conditions from light winds to 25kts. Racing is around marks providing a mixture of windward leeward courses or a more traditional triangle and loop course configuration. Races are reasonably short with back to back racing (apart for the coffee break at 11.00) and between 10 and 16 races during the morning. Yacht Racing Rules apply and turns are done (sometimes with “Sorry” often the alternative penalty!). We average 11 taking to the water. Big winds offer some spectacular surfing and frustrating moments of difficulty tacking. Softer breezes below 12 knots and crisp sunny mornings give equally good racing where starting, boat speed, tactics and race planning take you to the front of the fleet. 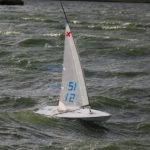 Winter Series at Medway Radio Controlled Laser Club will be starting in November providing close and exciting close racing from now until the end of March 2019. Those not involved in the MYC Autumn Series can warm up in November and be a step ahead.